As diesel costs rise, natural gas remains relatively stable and less expensive, and tax credits to defer acquisition expenditures may also apply. Switching to natural gas now can translate into significant fuel savings and money in your pocket tomorrow, so be sure to check with your local dealer to review available incentives. 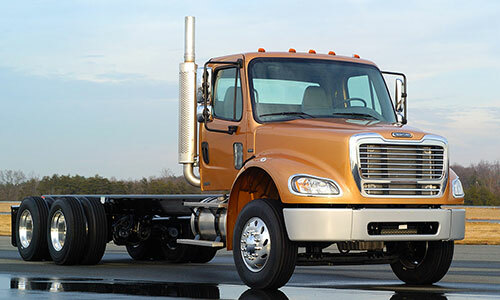 Better for the environment, near-zero-emission Freightliner® natural-gas-powered trucks are among the cleanest trucks on the road, featuring Cummins Westport engines with greenhouse gas (GHG) emission reductions of up to 20% versus comparable diesel engines. 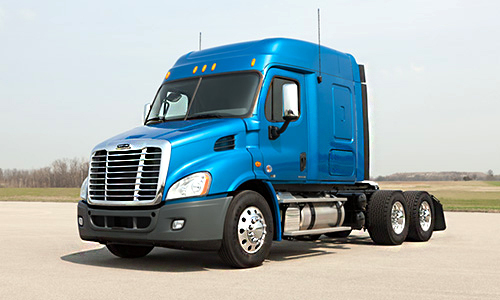 Also, on average, natural gas engines run 10 decibels quieter than a comparable diesel engine. 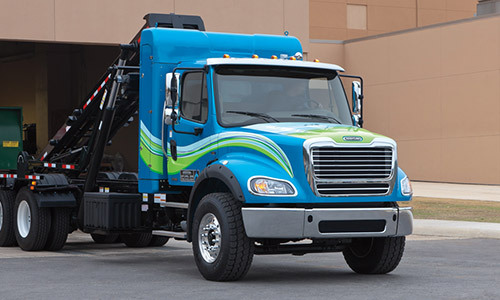 Reliable and safe alternatives, the 112 M2 and Cascadia 113 trucks feature factory-installed, warranty-covered natural-gas engines, fuel tanks and related components, including a standard methane-detection system. In the rare occurrence of a CNG tank puncture, fuel will simply vent into the atmosphere, rather than pool onto the ground. Factory-installed back-of-cab CNG (Type III aluminum-wrapped carbon fiber with 20-year lifespan), rail-mounted CNG (type IV carbon-fiber-wrapped plastic) and LNG (stainless steel) cylinder tanks meet or exceed all applicable safety standards. 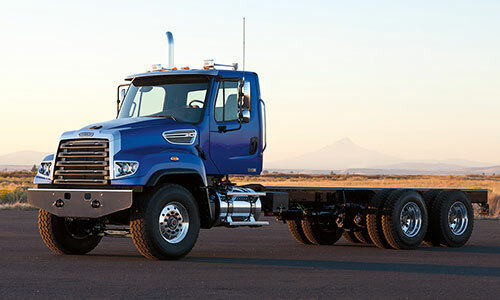 With a simple purchase process, easy financing, comprehensive warranties and unmatched service and support, Freightliner has you covered.